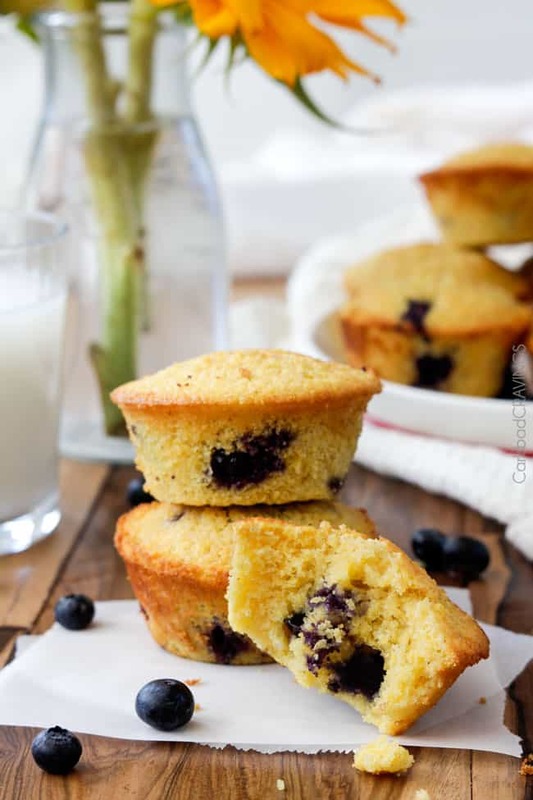 These Cornbread Muffins bursting with sweet Blueberries are my favorite cornbread anything! You will never go back to regular cornbread again! These easy Cornbread Muffins take just 25 minutes from Start to Finish! 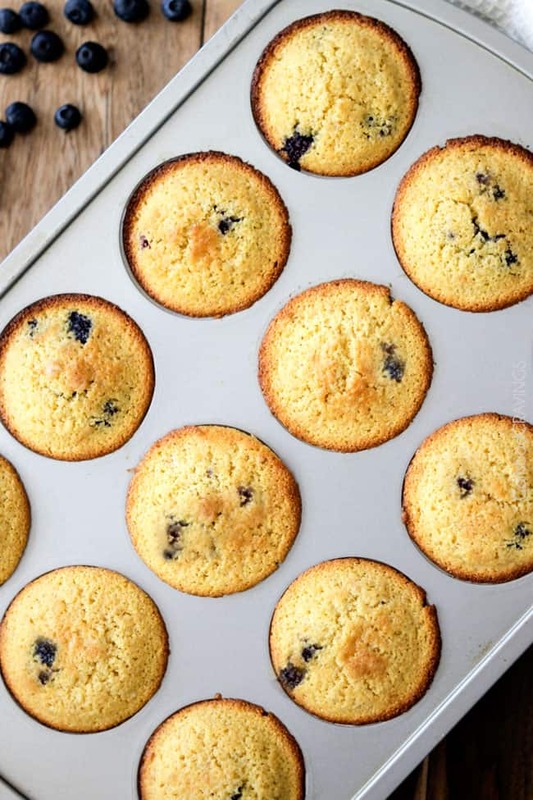 They are tender, moist, and buttery infused with sweet maple and bursts of juicy blueberries. 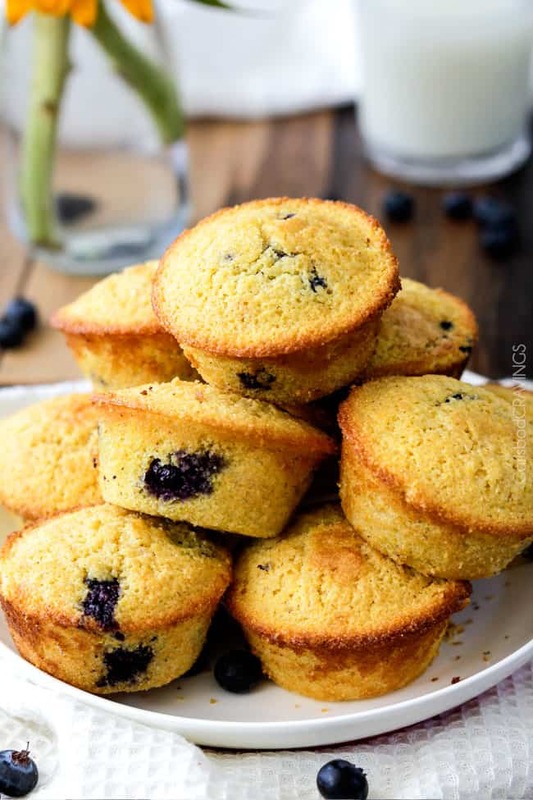 These Blueberry Cornbread Muffins are perfect for brunch, barbecues, potlucks. etc. and the leftovers are equally delicious reheated for breakfast slathered in butter, honey or jam – but honestly I just eat my Cornbread Muffins plain because they are THAT good! I posted these insanely delicious Cornbread Muffins last March 2014 (my second month of blogging) because I just had to share them with the rest of the world right away. So I understood a couple weeks ago when my Cornbread Muffin craving came again (it comes often), that I had to make them again right away but this craving time, I decided to re-shoot the mouthwatering morsels – and of course eat them along the way – so hopefully more people could fall in love with them as much as me. But just a warning: You might never go back to regular cornbread muffins (or cornbread anything for that matter!) once you know cornbread can taste THIS! good. Yeah, all these half eaten cornbread muffins aren’t just for show – I just couldn’t stay away. Once you taste them, you’ll understand the craving for light pillows of crazy moist buttery cornbread texture infused with maple sweetness so you don’t even need honey or butter, but not so sweet that you feel gross, after eating three, or was it five? in a row. 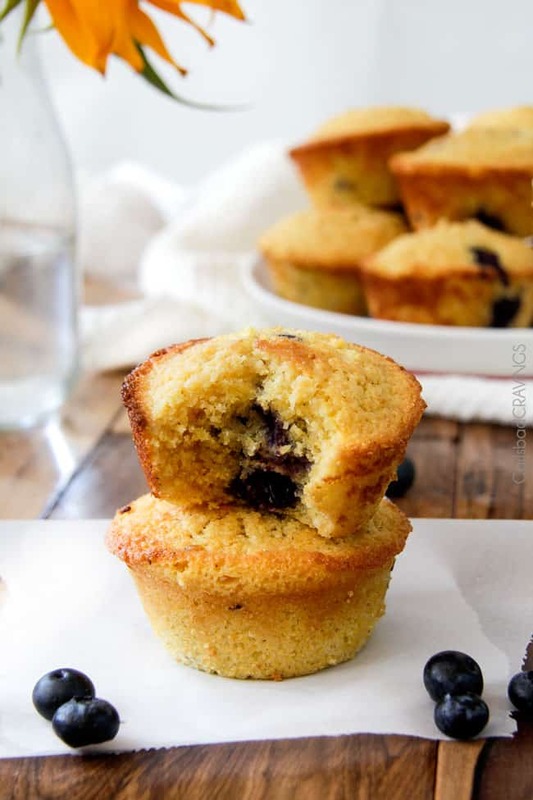 To top off that deliciousness, the cornbread muffins are speckled with sweet blueberry explosions that perfectly compliment the cornbread texture/flavor. 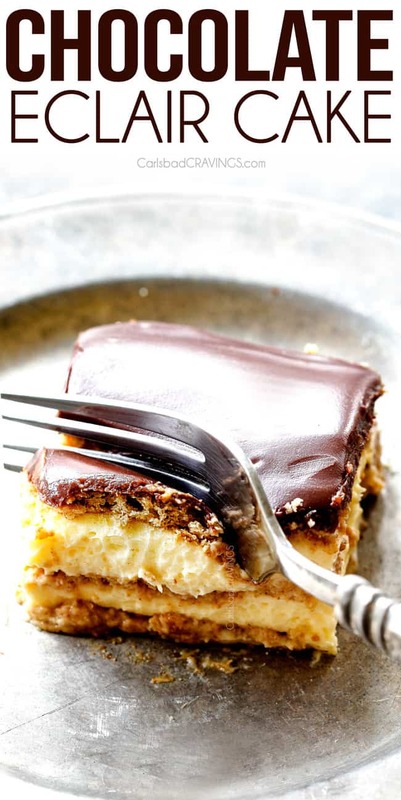 They are a dream breakfast, side, snack, potluck, barbecue or tasty treat. Basically, they are a dream anything you want them to be and that dream can be your reality in just 25 minutes! What Ingredients do I need for Cornbread Muffins? blueberries: I don’t recommend frozen blueberries because they add too much moisture to the batter. yellow cornmeal: I prefer fine cornmeal but whatever your grocery store carries will be fine. 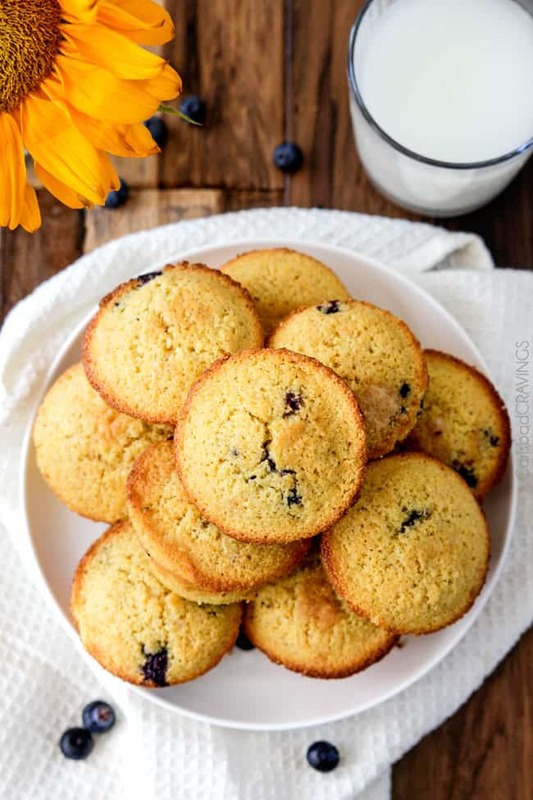 all-purpose flour: I have not tried these Cornbread Muffins with a different flour but I am sure gluten free flour such as Bob’s Red Mill 1 to 1 gluten free would work great. baking powder: the secret ingredient that helps the Cornbread Muffins rapidly rise and bake into light and tender muffins. buttermilk: you can make DIY buttermilk by adding 1 tablespoon lemon juice or vinegar to a 1 cup measuring cup then adding milk to fill the cup. Give it a swirl and wait 10 minutes or so until bubbles form on the top. 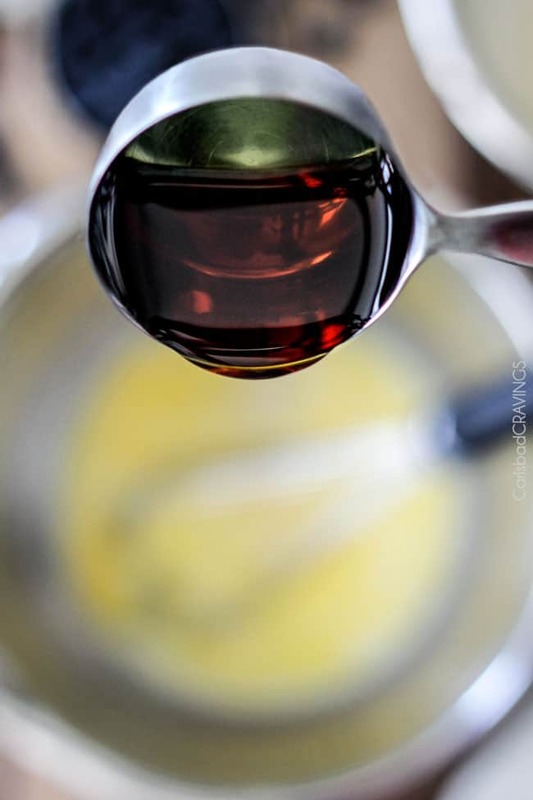 pure maple syrup: use quality pure maple syrup and not the imitation breakfast kind. ey is a humectant, which means that it attracts water and keeps the cakes from becoming dry. How do you make sweet cornbread muffins? Step 1: Spray a 12 count muffin tin with nonstick cooking spray WITH flour in it, or grease and flour your pan OR you can use regular nonstick baking spray with muffin/cupcake liners. Preheat oven to 400 degrees F.
Step 2: Add Dry Ingredients to a large bowl and stir until evenly combined. Step 3: In a separate bowl, whisk together the Wet Ingredients. Step 4: Add the wet ingredients to the dry ingredients and stir until just combined. Step 6: Gently fold in blueberries. Batter will seem very wet which is normal. Step 7: Evenly divide batter between 12 muffin tins (they will fill to the top) bake for 15-20 minutes, or until edges are golden. Step 8: Cool muffins in pan then remove by gently slicing around each muffin with a knife then sink your teeth into moist, tender Cornbread Muffins! What Should I Serve with Cornbread Muffins? 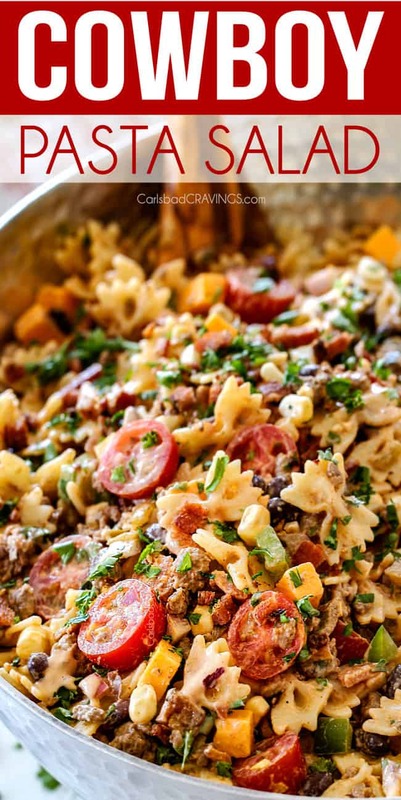 They also go great with other comforting sides such as Italian Pasta Salad, Baked Beans with Brown Sugar and Bacon, Kicked Up Potato Salad and Million Dollar Macaroni and Cheese. Can I freeze Cornbread Muffins? Place muffins on a baking tray so they are not touching then place in the freezer. Wrap Cornbread Muffins individually in plastic wrap then place them all in a freezer size bag. When ready to eat, remove muffin from plastic wrap and microwave at 20 second intervals or warm in the oven at 350°F 10 minutes or until heated through. No matter what you serve your Cornbread Muffins with, just by making them you have made everyone else’s dreams come true too. But just be warned. Like dreams, these Cornbread Muffins vanish into thin air and you are left with the memory of something wonderful. Want to try this Cornbread Muffins Recipe? 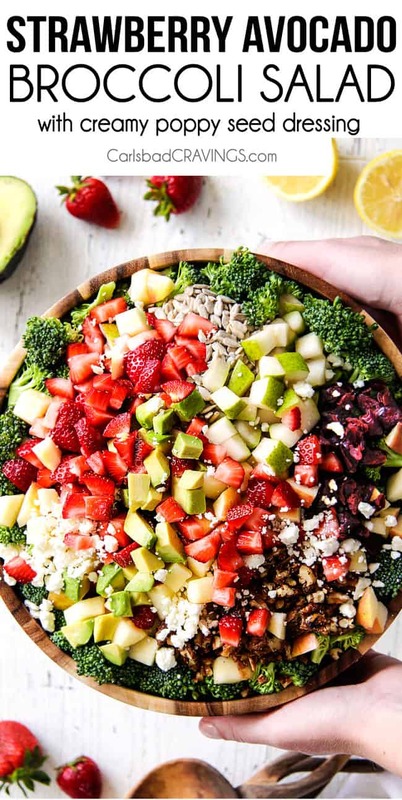 Pin it to your BREAD, MUFFINS, BREAKFAST or SIDES Board to SAVE for later! 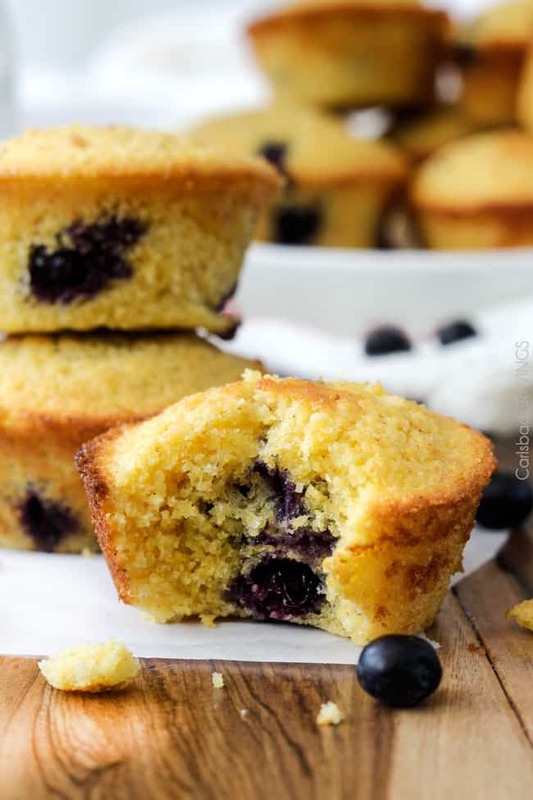 These Cornbread Muffins bursting with sweet blueberries are my favorite cornbread anything! You will never go back to regular cornbread again! These Cornbread Muffins take just 25 minutes from Start to Finish! 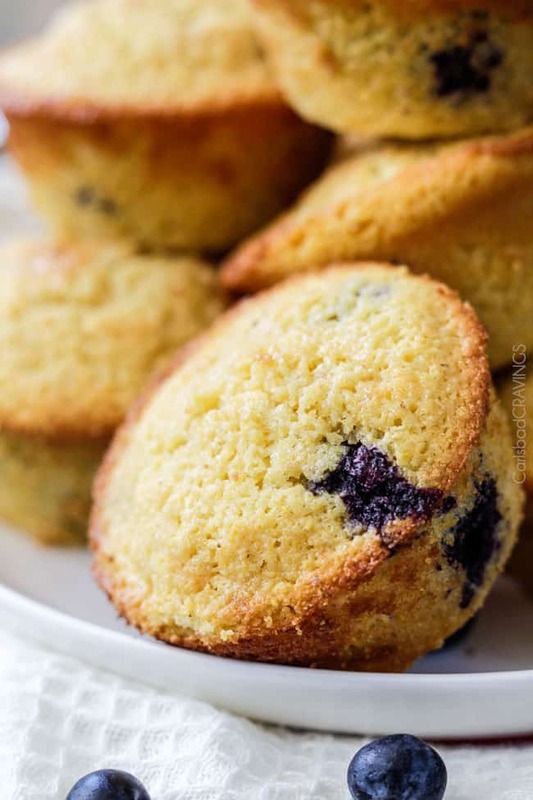 They are tender, moist, and buttery infused with sweet maple and bursts of juicy blueberries. 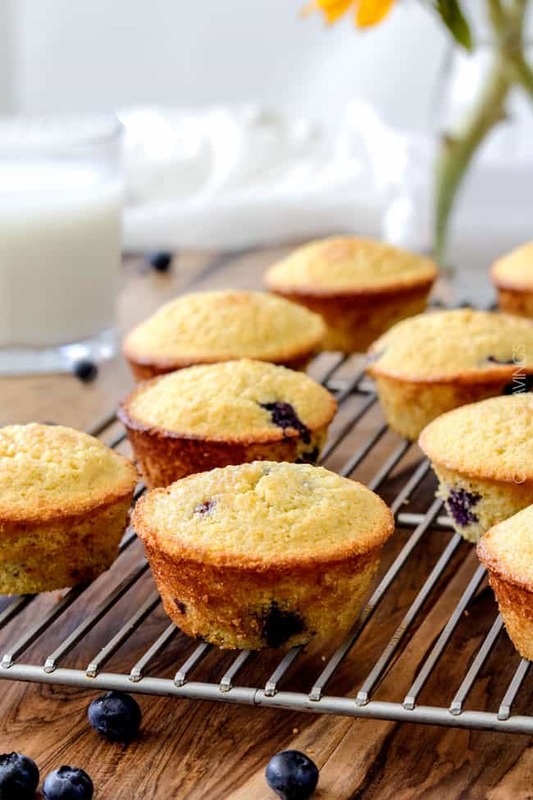 These Blueberry Cornbread Muffins are perfect for brunch, potlucks. etc. Spray a 12 count muffin tin with nonstick cooking spray WITH flour in it, or grease and flour your pan OR you can use regular nonstick baking spray with muffin/cupcake liners. Add Dry Ingredients to a large bowl and stir until evenly combined. 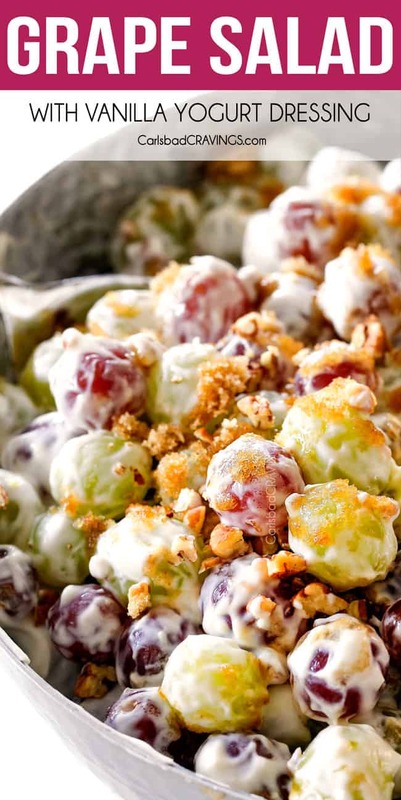 In a separate bowl, whisk together the Wet Ingredients. Add the wet ingredients to the dry ingredients and stir until just combined. 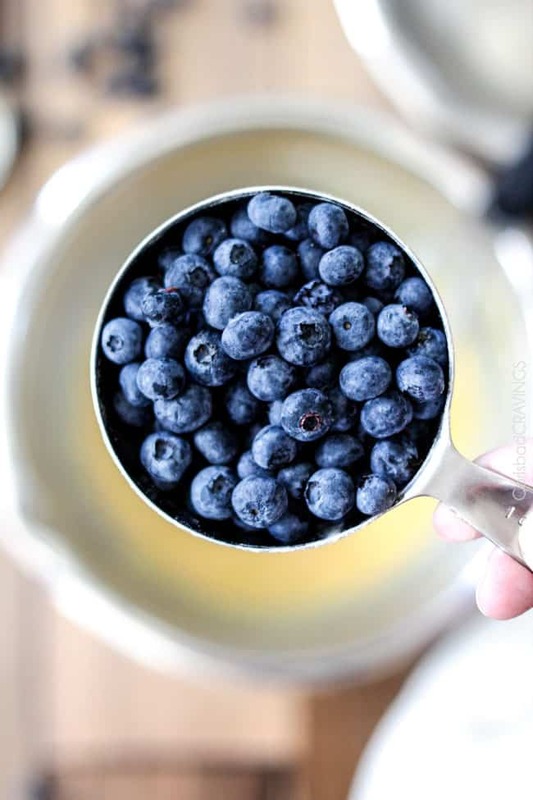 Gently fold in blueberries. Batter will seem very wet which is normal. Evenly divide batter between 12 muffin tins (they will fill to the top) bake for 15-20 minutes, or until edges are golden. Cool muffins in pan then remove by gently slicing around each muffin with a knife. Thanks! If you like blueberries, you will love these! G’day! Love blueberries and made something similar just the other day! YUM! So happy you can adapt them so you can eat them! Enjoy! Just made these for Easter brunch tomorrow. Of course I had to taste one. They are fabulous, thanks for the recipe. You are most welcome! Thank you so much for letting me know you loved them – made my day! Have a very Happy Easter!!! You are right – I can never go back! 🙂 These were moist, sweet and delicious! A new favorite! Thanks so much Mandi, so happy you loved them! I wonder how whole wheat or almond flour would work in this? Hi Shelley! I haven’t tried whole wheat flour, but I would recommend white whole wheat flour (just as nutritious and lighter in taste and texture) for the best-tasting whole muffins. Let me know how they come out if you decide to use it. Thanks! I didn’t use cornbread but only regular flour and it seems good but maybe too liquid ! I had to add 3 tablespoons of flour and it’s still not enough to me. Greetings from California all the way to France! Welcome! I am so happy you loved the recipe! Your muffin batter was probably too liquidy to start because cornmeal is a little thicker than flour but I’m happy you were able to fix that. Also, its 400 degrees F – maybe that makes a difference in France? I am so happy you were able to adjust the recipe for you and that they turned out delicious! These are currently in the oven! I just left the sugar out of the dry ingredients though. I thought the batter was sweet enough with just the maple sugar, we will see on tasting! H Haley! Happy you are making these – or by this time made these. I am curious how they turned out without the sugar? I hope they were delicious for you! Hi Deborah, thank you so much for taking the time to let me know you love them as they are one of my favorites! 🙂 Your pairing with a Blueberry Smoothie sounds perfect! I JUST baked a batch and they are soooo goooooooood!!! 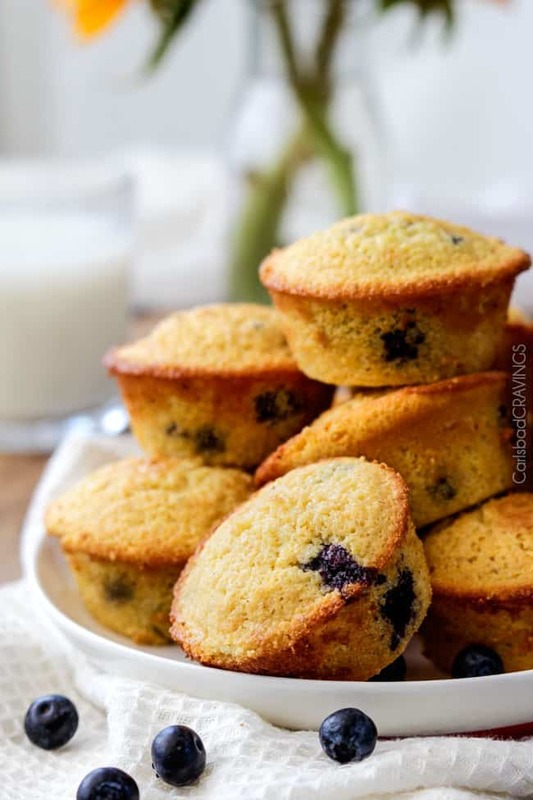 Sweet, but not too sweet, crispy edges around the muffin tops (I poured too much batter into the muffin tins) and the blueberries go PERFECT with the texture and flavor of the cornmeal! The maple isn’t overpowering but adds a subtle sweetness and depth of flavor, in my opinion. And you’re right… I sprayed the muffin tin, lined the bottoms with cut out parchment paper… I popped a few out of the muffin tin and two came out messed up, which was a perfect reason for me to eat them! Thank you again for sharing your recipes! Awesome Jenny, I am so happy you loved them! yay! You described them way better than I ever could :)! These muffins sound delicious! I’m going to make them soon and was just wondering if the cornmeal you use is fine like flour or the coarser kind? Hi Jilian, great question! I use the fine cornmeal. I hope you love the muffins! This is THE best cornbread I have ever eaten, let alone made. Everyone who tries it asks for the recipe. I now make it weekly. Thank you for this! YAY! Thank you so much for such an awesome comment! I love that you love this so much and that you even make it weekly! That makes my heart so happy! Thank you Melanie! Jen, I promise I’m not stalking you 🙂 but I just made these tonight and there is some serious YUM going on with these little beauties! They are every bit as good as they look but what I mostly love is that they have just a hint of sweetness and those crispy little edges – sheer muffin perfection. Love ’em! Girlfriend, I think I’ve found my foodie sista – you never disappoint!! Now on to the next one…..
Stalk away Dawn – I love it when people get hooked on recipes, and I love that you are enjoying mine :)! I also LOVE that you made this recipe because its a recipe that doesn’t get made as much as it deserves when its is SO good! its one of my favs as well! SO happy you loved it! Thanks for making my recipes and I love your comments!